A number of active paylines cannot be changed, making them fixed and attached to the reels for each spin. This allows gamblers to focus more on the gameplay and simplifies the total stake calculation. All of the online slots made by IGT are filled with high rewarding symbols and valuable multipliers that can be both collected or triggered randomly. The “Go Pass” bonus is the most valuable feature in the Monopoly with Pass slots as the multiplier of x2 or x3 is applied at the end of it. By doubling or even tripling up the reward, gamblers can win tens of thousands of coins at the minimum stake! Getting into the jail will prevent you from obtaining any prizes that occur on the table for a few spins, while the parking spot symbol awards an instant cash prize, which accumulates throughout the game. The GO spot is the favorite amongst all the monopoly players, which is the reason why it is so powerful in the slot version as well. Getting started implies playing for free with no download nor registration needed, with only a device and a stable internet connection required. The fun version is always available and it never forces gamblers to deposit any money, which is the best way to attract new users. Before making your first deposit and switching to the real money slots version, make sure to check all of the bonus offers available in the casinos that include Monopoly with Pass online. Go with the no deposit bonus if you are still not sure about the investment, or pick up the first deposit bonus, which usually doubles it up. By combining it with the 2nd and the 3rd deposit bonus, you can stack up to 1000% and thousands of dollars in value! Request the payout at any point, if you haven’t claimed any of the bonuses, or if the deposit is not conditioned by any of them, as long as you meet the withdrawal limits. Always remember that every single bonus requires a specific amount of spins to be played before you can withdraw the earned money. Make sure to collect as many GO signs as you can while you play free Monopoly with Pass casino slot machine, as it brings the most value to the table. 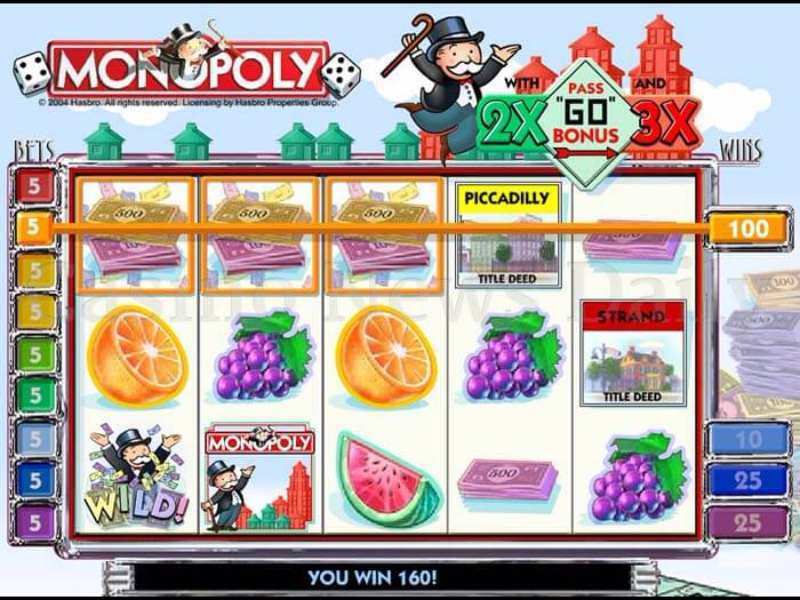 Multipliers combined with free spins and jackpots often result in enormous prizes, which is the reason why board slots are so popular nowadays. As this game has a really nice graphics, you might also like the Fire Horse Slot developed by IGT as well. It has 3D graphics, multipliers, 720 paylines and a jackpot included. Does it have a lot of machines available? If both of these questions are answered with “Yes,” then proceed and research further, finding out about their bonuses, promotions, and games. As long as one of the answers is negative, just move on, as that casino is not worth spending any time on. 0 responses to "Monopoly with Pass Slot"